A recent study shows that divorce in early childhood has an impact on the relationship that children have with their parents at a young age and continuing after adolescence. The study analyzed two surveys, which revealed that children of divorce were more likely than others to view their relationships with their parents as “unreliable” and showed that “people whose parents had divorced by their 5th birthdays were also more likely than others to see their later relationships with their parents as insecure . . . .” The majority of respondents in the survey lived with their mothers after divorce and felt distanced from their fathers as a result. Those behind the study suggest that these findings help place the way individuals trust and rely on others in the context of their childhood experiences. 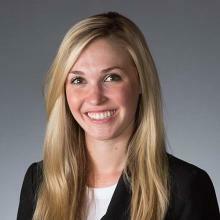 Katherine Kirk is a third year law student at the University of Denver Sturm College of Law and contributes to IAALS Online. Please direct inquiries about this post to iaals@du.edu.